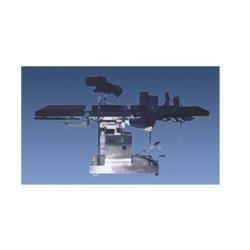 Prominent & Leading Exporter from Ambala, we offer c arm table, examination table, over bed table, surgical table, operation tables and surgical hospital tables. 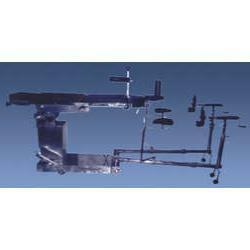 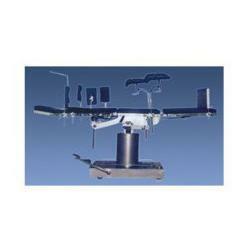 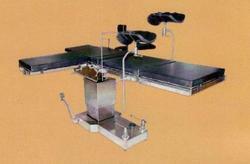 We offer qualitative range of surgical Operation Tables, designed for operation theater. 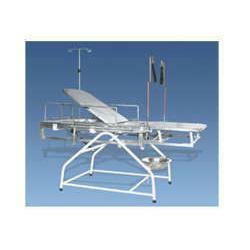 These are available in various standard sizes to choose from for General Surgery, Gynecology - Obstetrics, Urology, Cardio Thoracis, Opthalmic, etc. 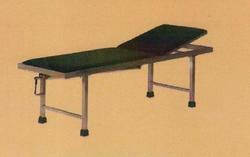 We provide our clients with qualitative Surgical Hospital Tables. 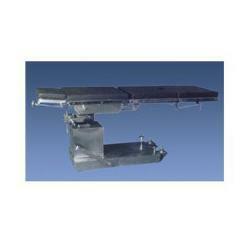 These are manufactured using graded material to ensure their durability and longer working life. 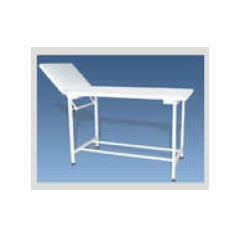 Our tables are offered in standard as well as customized options. 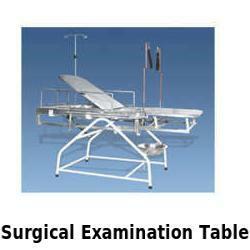 Facilitates almost all the purposes and requirements of major/minor surgical exercise and procedures. 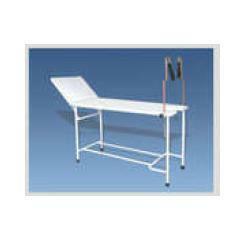 Surgical Examination Table offered comes in sturdy construction finish and can be made available by us in different support accessories so as to provide for enhanced performance usage. 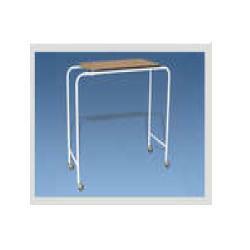 Further, the durable pipe frame based construction finish of these examination tables also make them provide for reliable working. 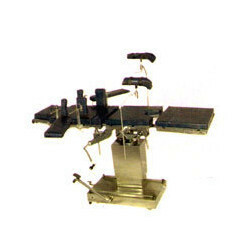 Some of its features include finding suitability for use in handling different medical treatment like gynecological surgery and others; offering flexible and convenient usage; whole stainless steel or carbon steel material options; adjustable back rest and knee section among others.